A few weeks back Sylvia of Flying Parrot Quilts contacted me with her idea to do a quilt along for a quilt she made using a mash up of a bunch of Halloween themed patterns. She calls it the Epic Halloween Quilt. You can see a photo of it here. 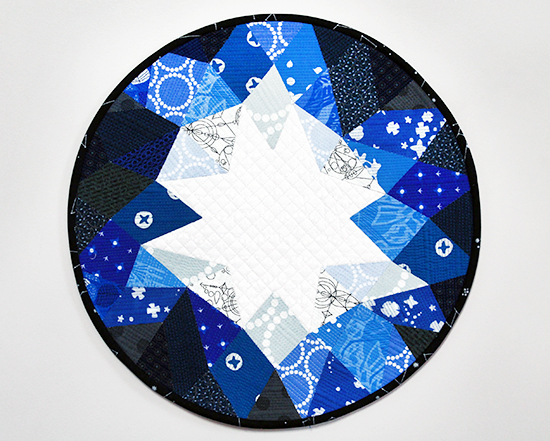 Each week she talks about a different pattern, either free or paid, that fits in the quilt. Like a puzzle piece. They sent me the gorgeous bundle of blue and white fabric shown above, which arrived right at the beginning of the blizzard we had. The majority of the fat quarters were either by Lizzy House or Alison Glass. The rest was from various other lines with Andover (I really should look in to them because they were all beautiful). This week on the Sewing Party blog I show my step by step process for using my sewing machine to bind a quilt! It’s a perfect technique for when you just don’t want to spend hours hand sewing the binding on or you are crunched for time! I have received very good feedback about the post so far, so please go check it out too! I have been a bit behind due to travel and catching a cold, so I missed posting about my October blog post on the Sewing Party blog. 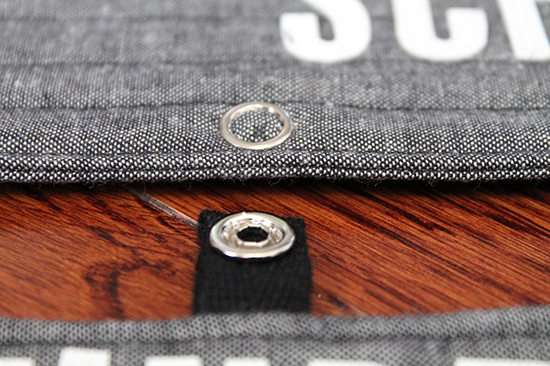 I showed how you can use a domestic embroidery machine to make your very own iron on patches. Even if you don’t have a machine, it’s still neat to learn about, I promise! CT’s first day of Kindergarten was this past week. It was a HUGE milestone for both of us, so of course I had to take loads of photos. 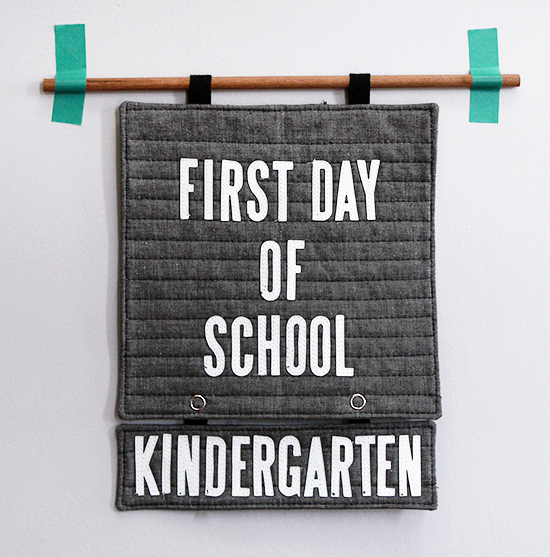 I also figured I should make a little sign so we never forget it was the first day of school. Then after much thought I decided on a second piece that can be detached that says which year of school shes starting. All of this snowballed into the fabric banner above! It’s 8″ square with marine grade vinyl letters cut out using my Sizzix Fabi and the Block Talk Alphabet Die Set. The background is Andover Fabrics chambray in black. I made it pretty much the exact same way as my Appliqued Vinyl Letter Pillow. I also added snaps to the bottom of the banner so I could make an attachment for each year she is in school. I plan on making all the grades later this week when things have calmed down around here and putting this in a safe place. The idea of her using this every year makes me all teary eyed! Can you imagine her in 12th grade holding this little banner?!?!? As you may be able to tell, I’m a complete mess over her going to school. Yes I gained 8 uninterrupted hours each weekday, but I still miss her soooooooooo much. Does it get easier?!? Today I share with you another tutorial as part of my Sizzix Design Team series using their 1.5″ Bigz Alphabet Die Set. This project also is the first in my new “Jessee’s Playlist” series, where I create a project using either lyrics or images pertaining to songs in my playlist. I thought it would be neat to combine my two greatest loves, creating and music!